Turbo Downloader is a download and file manager app. The app is available for the iOS, and provides you with a handy tool for downloading and managing files with. 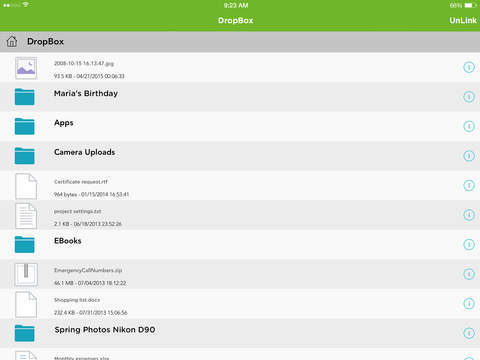 This app enables users to store and manage documents and has plenty of options. As mentioned, the primary function of this app is its file manager with which you can store and manage downloaded files with. With that you can organize downloaded documents into folders, copy them and even create compressed Zip files. Furthermore, Turbo Downloader has a file viewer function. Turbo Downloader has a Dropbox option on its menu so that users can move documents to cloud storage. In addition to its file manager, the app also includes a browser and music player wrapped into one. Turbo Downloader has an effective UI. Users can access all its functions by pressing the menu button at the top left. Then you can select Downloads and Files to open the file manager. By pressing a button at the top right of the file manager, you can select numerous file options. The app’s options and functions are neatly integrated together. The app includes handy options for its music player. For example, you can select Top Charts from the menu that opens a list of albums that are topping charts in countries. Then you can select to play an album from there. Alternatively, users can select the Search option to search SoundCloud and YouTube. In addition, Turbo Downloader also includes options to set up playlists with. Turbo Downloader has a number of settings for you to customize the app with. It even has a password lock that you can set up a password with. However, it does not include any options to customize its menus and UI with. Turbo Downloader is freely available with no IAPs required to unlock extra functions. So it also offers decent value. However, note that this app includes ads. Overall, this is a download and file manager with plenty of handy options. Its music player with playlist functions is also a great addition to the app. So it is an iOS app worth noting, and this page includes more details.